A Handbook of GDS Ruling : "CRUSADER " compiled by Com. 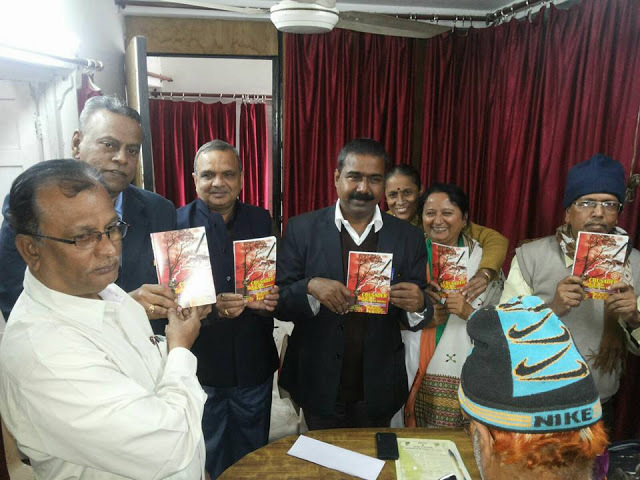 Venkatachary Sridharan, Ex-General Secretary, AIPEU, Group-C, CHQ was published during the Central Working Committee Meeting at NFPE Office, New Delhi. Standing from left to right: Com. P.PanduRangaRao, Com.K.V.Sridharan, Com.R.N.Parashar, Com. M.Krishnan, Com.R.SithaLaxmi, Com. Ashaben Joshi & Com. Bijoy Gopal Sur.